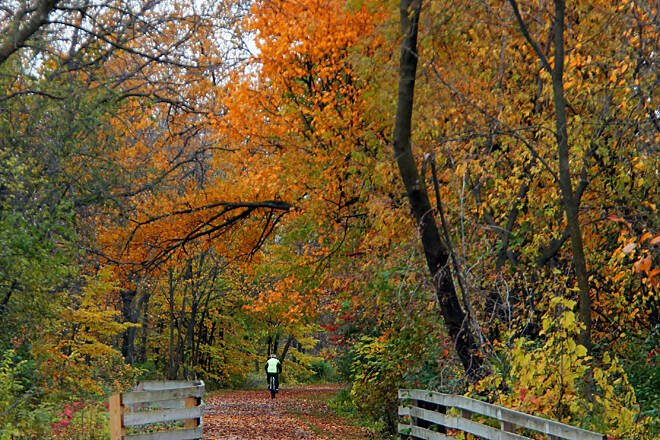 The Oak Leaf Trail is the jewel in the crown of Milwaukee County’s extensive trail system. 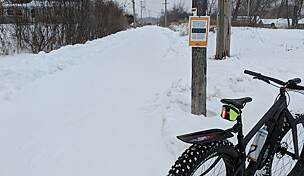 The trail meanders for more than 120 miles in and around the city of Milwaukee on a changing terrain of flat rural plains and hilly city streets. 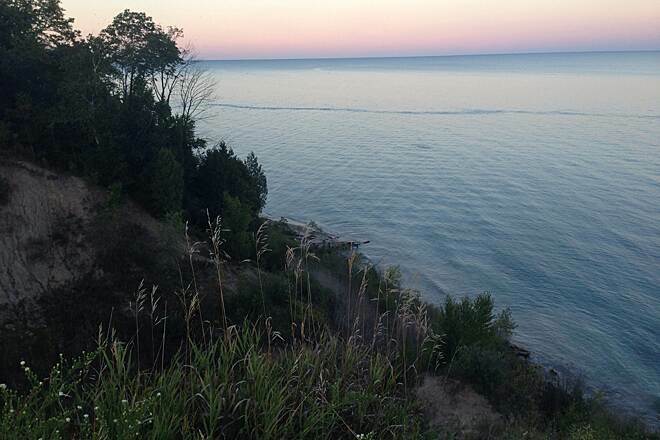 Nearly a quarter of the trail hugs the beautiful shores of Lake Michigan. 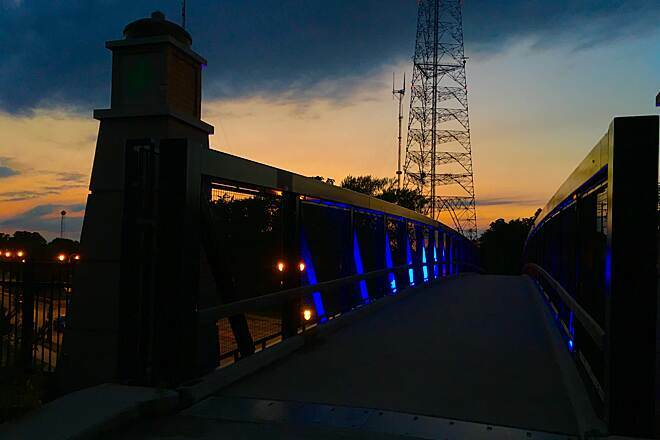 The trail is mostly smooth asphalt, with dozens of easily accessed connections that take you just about anywhere in the Milwaukee metro area. Three miles of the trail follow the route of an old Chicago and North Western line that was part of the railroad company’s long-distance passenger service to Denver, Colorado, and the California coast. 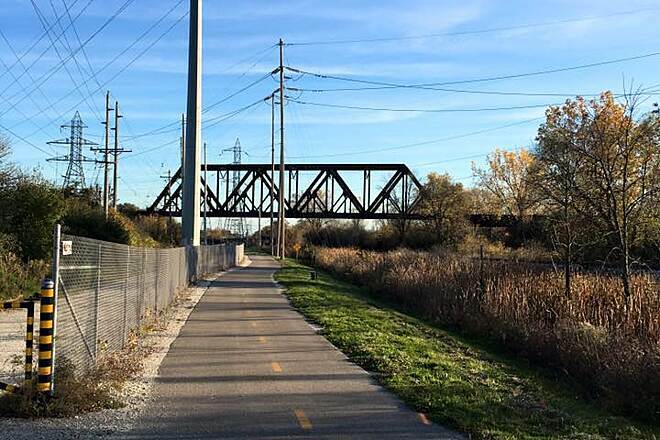 The railroad’s penchant for purchasing much of its equipment secondhand earned it the nickname “The Cheap and Nothing Wasted.” The balance of the trail is made up of parkways and city streets, as well as another 3 miles open on a former Union Pacific corridor. 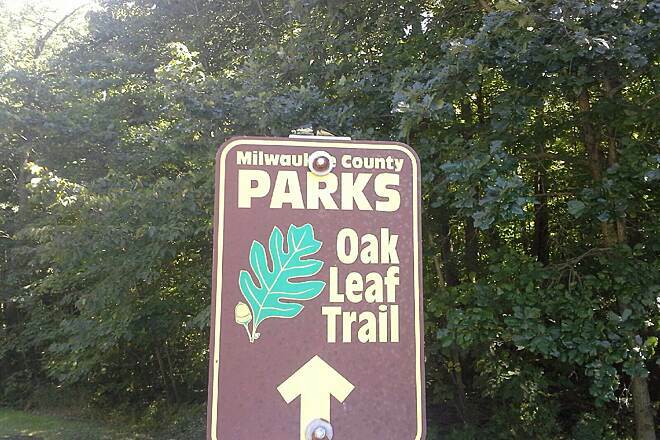 The Oak Leaf Trail has access points in and around the Milwaukee metro area. 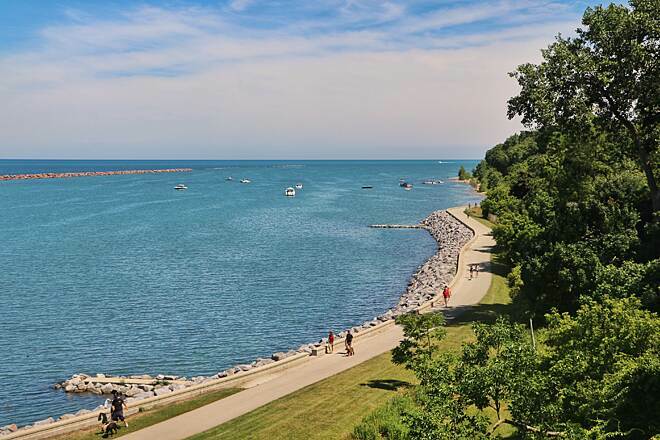 The best starting point is the Milwaukee Art Museum, after which you can head either north or south along Lake Michigan, or just a short distance south and west to an additional set of inland trail segments. In the more remote areas, particularly at dusk, you may spot a coyote or two. Coyotes are common but are wild animals, so maintain your distance and keep your pets close and on a leash. Talking loudly will easily scare coyotes away. 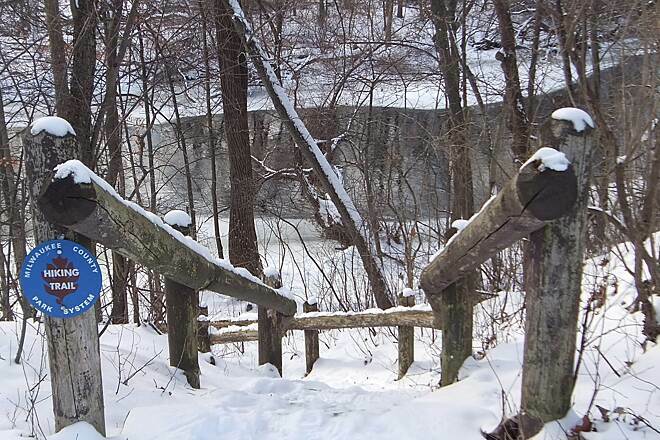 Many species of birds can be found along the trail as well, and Milwaukee County Parks has developed bird trail maps directing you to prime spotting locations. Near mile 10, hilly city streets wind through an eclectic mix of Milwaukee’s middle- and upper-middle-class neighborhoods. You will pass three golf courses in short succession. Just south of downtown there is an old warehouse district that has been converted into lofts and condos, after which the trail carries you down to magnificent Lake Michigan and its beaches. Several kiosks advertise refreshments, and you will find ample parking and restrooms. 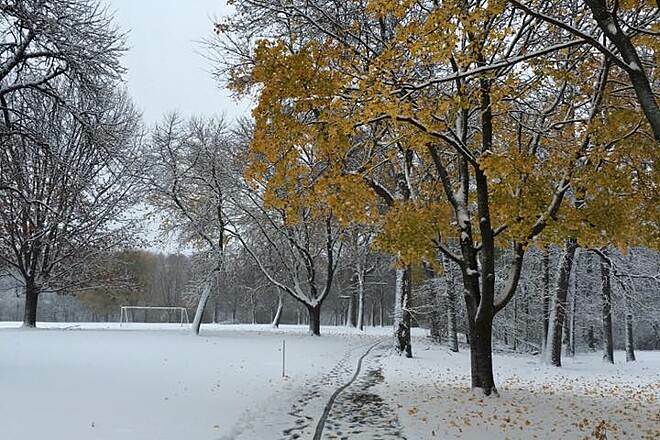 In 2015, the Oak Leaf Trail was extended near the northern end of Estabrook Park, home of a popular beer garden, in Whitefish Bay. Heading north from here, you’ll traverse elevated grade over I-43 into Glendale and Brown Deer, passing alongside Brown Deer Park to W. Brown Deer Road. Here, you’ll connect seamlessly with another section of the Oak Leaf, which then connects with the Ozaukee Interurban Trail, a 30-mile pathway to Cedar Grove. Additional or nearby connections made by the Oak Leaf Trail include the City of Franklin Hike and Bike Trail, MRK Trail, Forked Aster Hiking Trail System, Wehr Nature Center trail system, Milwaukee Urban Water Trail, Hank Aaron State Trail, Lake Michigan State Water Trail, City of Milwaukee Beerline Trail and Kinnickinnic River Trail, West Allis Cross Town Connector Trail, and numerous mountain biking trails, including Alpha, Bubba’s Woods, Hoyt, and Oak Hill. 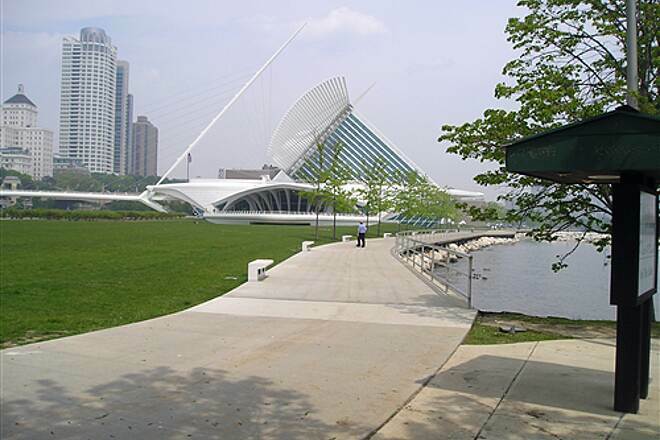 To reach parking at the Milwaukee Art Museum from I-43, take Exit 72B east toward Lakefront. After 0.8 mile, merge onto I-794 E., and go 0.3 mile. Keep right to stay on I-794 E. another 0.2 mile, and take the exit on the left toward N. Lincoln Memorial Dr. Go 0.3 mile, and turn left onto N. Lincoln Memorial Dr. Go 0.2 mile, and turn right onto E. Michigan St. After 0.1 mile, turn left into the trailhead parking lot. To reach the trailhead at Dretzka Park Golf Course (and the northwestern-most segment) from I-41 in Menomonee Falls, take Exit 50A for SR 100 E./Main St. Merge onto Main St. heading east, and go 0.8 mile. Turn right (south) onto Old Orchard Road, and go 0.8 mile. Turn right onto N. 124th St., and go 0.1 mile. Turn left, pass Dretzka Park Disc Golf to your left, and turn left into the golf-course parking lot. To reach the southwestern trailhead at the Milwaukee County Sports Complex Fieldhouse from the intersection of WI 100/W. Ryan Road and S. 60th St. in Franklin, head north on S. 60th St. for 0.5 mile. Parking is available to your right in the complex parking lot. Honey Creek Pkwy is a very pleasant windy smooth road. Although you do have to go across Wisconsin Ave and Bluemound road which can be quite busy streets. We picked up the Oak Leaf branch opposite 72nd st that goes through Wauwatosa. Once we got on the trail there were a lot of people and kids walking in large groups. A few bikers too. Good thing the trail is wide as you go past Hart and Hoyt parks. Trail was closed where it passes under Hwy 100/Mayfair Road but detour was clearly marked. Detour had you cross Waterplank road then wind through the industrial park which was deserted on Saturday afternoon until routing you to cross Hwy 100 on Research Drive. Even though we pushed the button we never did get a walk light across Hwy 100. We met up again with the Oak Leaf trail which was pleasant then took the Hank Aaron trail back east. A friend and I rode sections of the Oak Leaf trail as part of a multi-day trip from Chicago to Cedarburg, WI. We rode 10 different trails and found some sections of the Oak Leaf trail to be as good as it gets! It is paved and well maintained and generally runs through quiet country and/or neighborhoods. We only had a couple of issues - one being that part of the trail was closed and the detour signs were not clear for people from out of state. We are very thankful for friendly "natives" who helped us find our way to where the trail was open. The second was a section near Oak Creek that had 4 small sections with significant flooding - about 18 inches of water. It is kind of fun riding through big puddles, but unfortunately, the water was deep enough to soak the bottom of our saddlebags. Nonetheless, we thoroughly enjoyed riding on this trail (the sections of the trail we did ride) and would recommend it highly! We found very few other riders/users - but I am guessing that rain, wind and cloudy days keep locals indoors--because the trail itself is wonderful! The Oak Leaf Trail has so many branches and so many good places to ride. 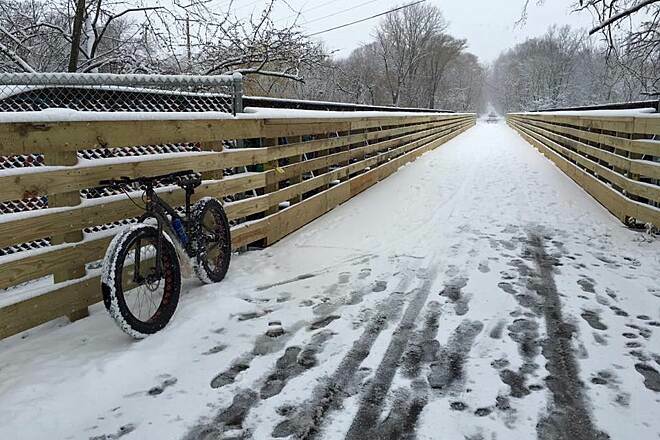 I was riding the Grant Park-South Shore section since I was a kid when it was the 76 trail. We ride that section a lot still but it can be crowded with bikes, runners, and walkers. Most bikers are polite and understand the need to ride single file, but it seems like a lot of groups when there are more than a few just don't get it. 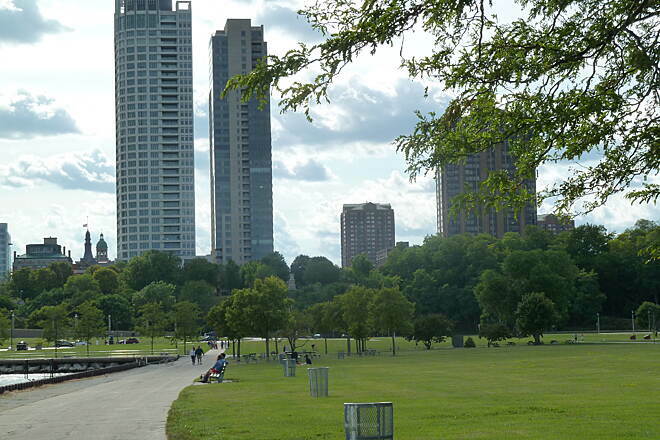 One of the best things is riding from Grant Park to the South Shore Beer Garden! We also ride from Drexel Ave. to County Line Rd. Beautiful, especially once you get south of Ryan Rd. Another leg we enjoy is from the Milwaukee County Sports Complex on Ryan Road to Whitnall Park, especially now that there's a permanent beer garden there as well. 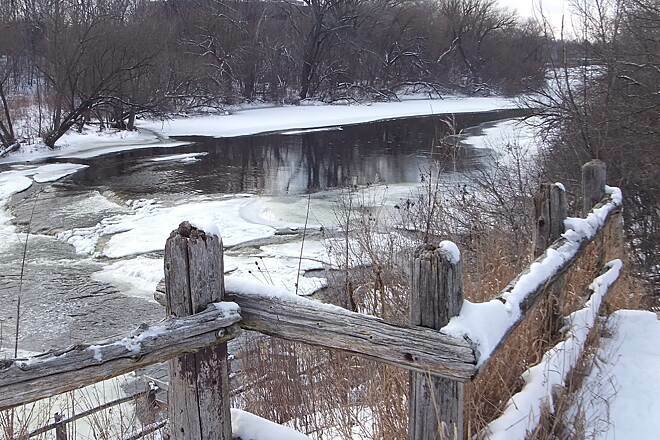 On this leg of the trail once you get about 1/4 mile north of the sports complex it follows the Root River. You hardly see any houses or busy roads and you really feel like you're out in the sticks. I rode a southern leg of the trail from Oak Creek to the Racine County line and back. There's marked street parking on Drexel Avenue, where the trail intersects. The trail is wide and blacktopped all the way south through well-kept neighborhoods and wildflower fields. 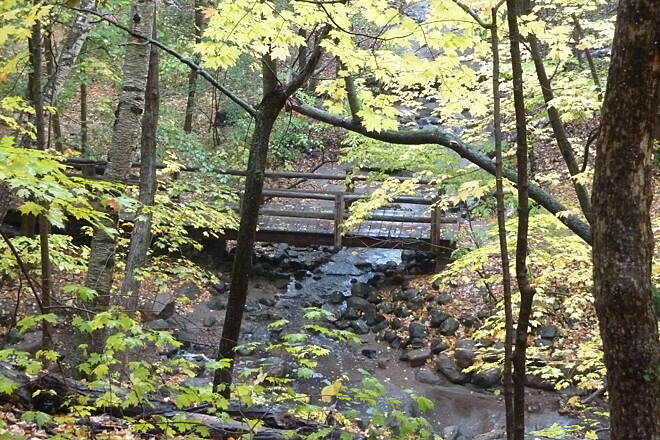 There are some minor hills in Oak Creek, as the trail dips down and then rises back up as it crosses roads. 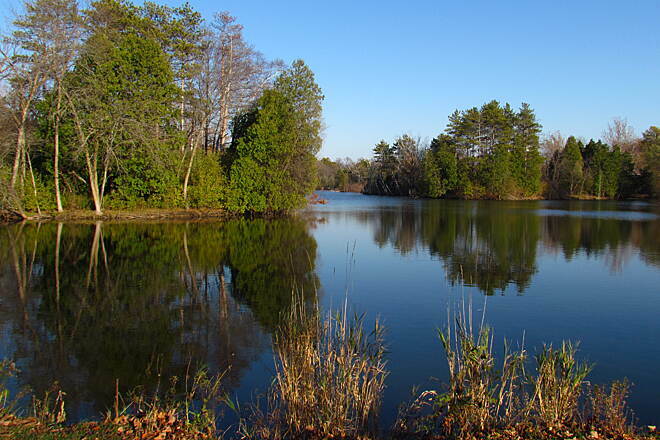 The trail heads east for a while along Ryan Road until it continues south through scenic wetlands to County Line Road, where there is a parking lot and conservancy hiking trails across the road.. I took a ride along County Line Road westward, skirting the Root River, and connected with a trail spur that continued west to Howell Avenue. I stopped there, but met a bicyclist who said that the trail now continues into an industrial park for a mile or two. But I retraced my tracks back to my car at Drexel Avenue. The hills in Oak Creek seemed a little harder on the way back. But all in all, it was a pleasant 16 mile round trip on a summer day. The trail is perfect. I can go wherever, whenever on my bike or by my foot. The thing is, it's too small. Groups of three or more are too common here, and that leads to some very close calls. When there is a group of 20 seemingly professional bikers who look like they're going at a speed I will never be able to get to, vs. me who's biking at a super casual speed, surrounded my pools of mud, and nature is not so nice in that situation. It's happened to me. It wasn't nice. Otherwise it's a perfectly nice trail. The Oak Leaf trail from Grant Park north to Milwaukee has to be one of the nicest stretches in the entire 120 mile system. On a sultry summer day, I parked in the golf course lot at Grant Park in South Milwaukee and headed north on the trail. 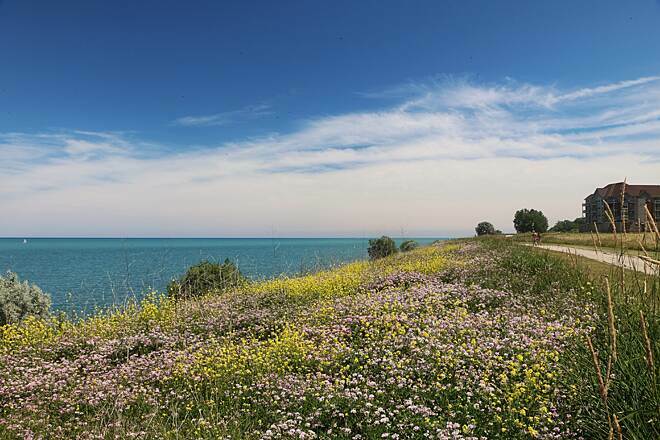 It winds through woods and fields and offers beautiful views of Lake Michigan from the tall bluffs. There was a welcome cool breeze off the lake. The trail was smooth blacktop all the way, with a few hills. 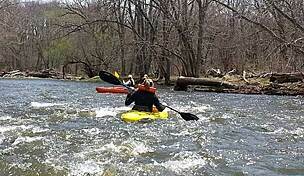 Later, it passes along the lake through the towns of Oak Creek, Cudahy, St. Francis and Bay View. At South Shore Park in Bay View, the trail heads down to the beach and the South Shore Marina, a good place to stop and take a break. 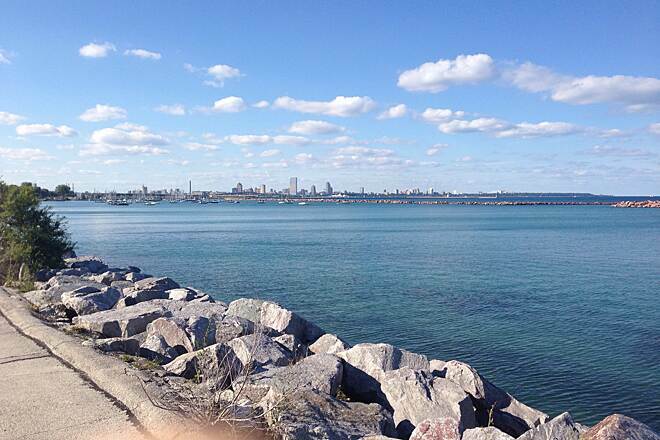 I rode up to Bay View before the Hoan Bridge and then headed back. A great ride of 18 miles. The Oak Leaf Trail has both positives and negatives, however positives do outweigh the negatives. 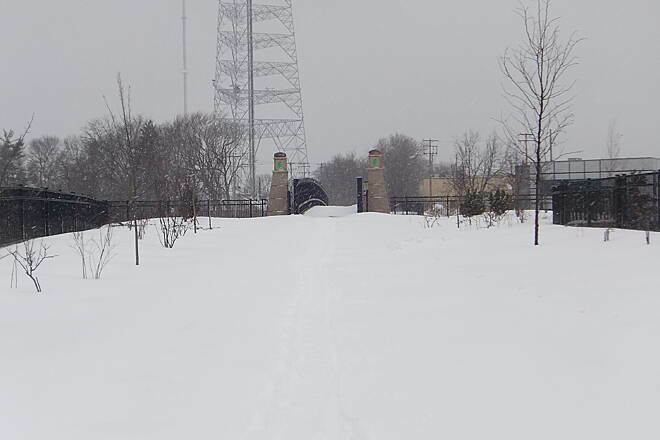 This trail allows users to travel through the heart of Milwaukee, however the lack of bike lanes and signage when the trail segments off makes it difficult for people unfamiliar with the area to find their way around. 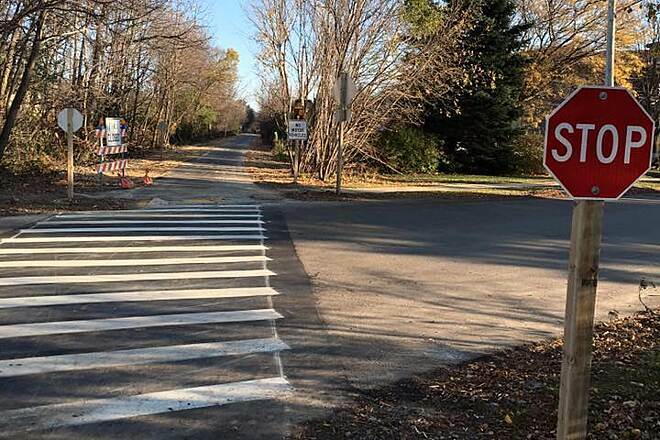 Being a resident of the Milwaukee area for 16 years, the trail is not so challenging for me to figure out, but this does prove to be a downfall of using the Oak Leaf Trail. On the other hand, the trail is nicely paved, full of wildlife, and the users tend to be friendly, so it does make for a great atmosphere! 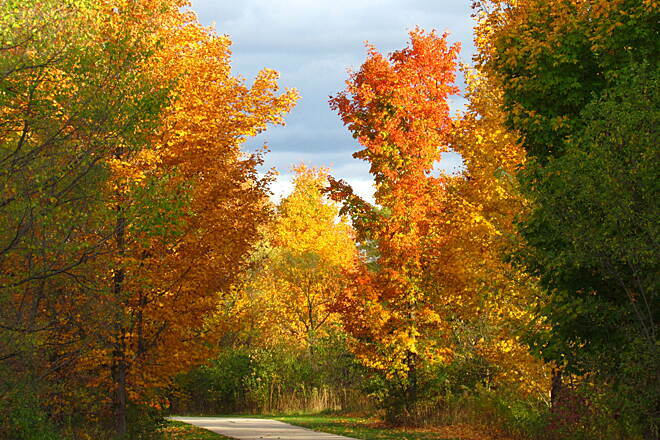 My advise when using the Oak Leaf Trail would be to review the map and o plan your route beforehand, especially if you are unfamiliar with the Milwaukee area. This is one the trails we ride a lot. 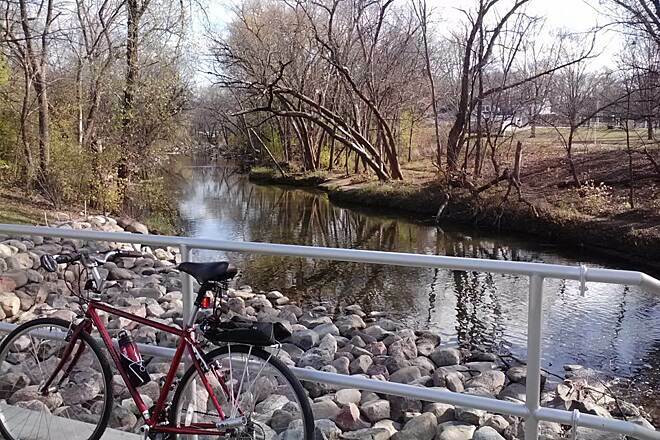 A lot of times we head west on Wilbur to ride around Alcott Park to go west on Howard over the expressway bridge, then south on 104th street to get to the Norwich street trail connector. Well, it had rained very hard Saturday night and we discovered that the trail was flooded from underneath the expressway to the other side of the Layton Avenue bridge. The water appeared quite deep and had a current so we rode back and took Coldspring East to Hwy 100 south, then Layton Ave East to rejoin the trail. No other part of the trail was flooded even though there are more places where the trail crosses near the river. On the way back we took the unlabeled bike path along Loomis through Greendale before getting on 68th Street. I ride on this part of the Oak Leaf Trail fairly often. From the Ozaukee County line to Mill Rd, you must cross a handful of busy streets, so caution will be your watchword. South of Mill Rd there are only two streets to cross, only one of which (Hampton) is busy, so it is a great ride for families. Weekends can get busy, with skaters, walkers, runners, dogs, other pleasure cyclists, and mobs of high speed cyclists. Be careful of those mobs, they often act like the trail was made for them exclusively. The trail is generally downhill from North to South, it is a gradual slope, but it is enough to notice when riding back North. Near Silver Spring it gains shelter from trees which line the sides. North from there is a bit more open. Starting just South of the Milwaukee River there are three Beer Gardens. The first is the Bavarian Bierhaus (Formerly the Bavarian Inn), the next is in Estabrook Park, a little ways off the trail. 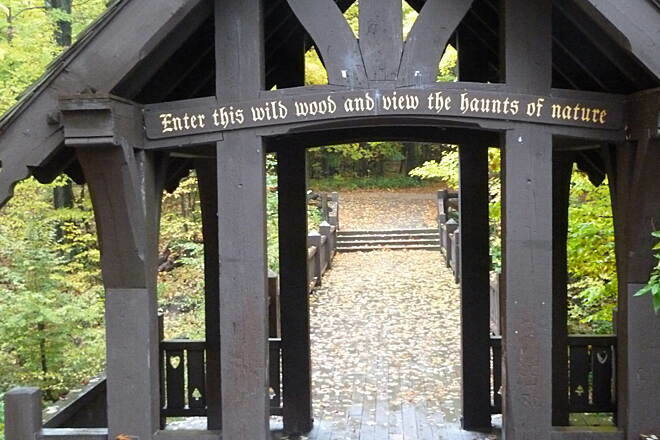 The third is in Hubbard Park; although it is accessible by car, it is easiest to get to from the trail. All three serve beer (naturally) and have soft drinks and food as well. 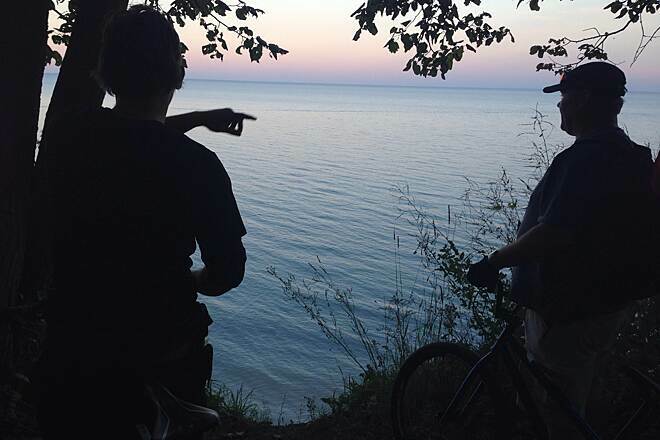 This leg of the trail gives great access to the North Shore, the East Side, and the Lakefront. It is a real gem, and a fun one to experience. 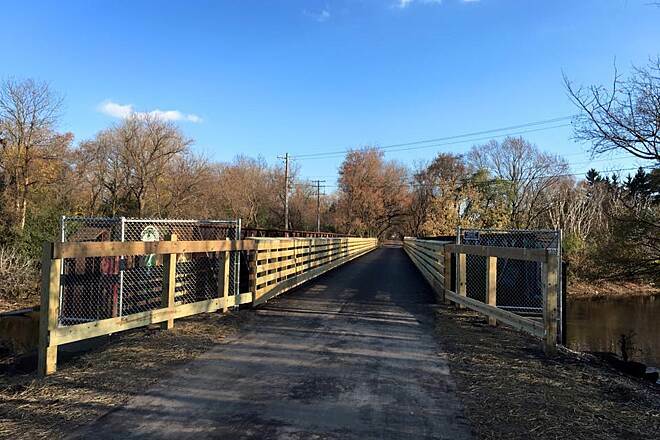 There is major construction on the south leg of the oak leaf trail near 27th street. They don't have any way to get through with a bike short of riding in one lane traffic. No side walks. Had to get off my bike and walk in the street. There should be a detour route. We rode about 15 miles total.... Started at the South Shore Marina and rode south to 7 Bridges at Grant Park. Most of it was pretty good pavement so mostly smooth riding. 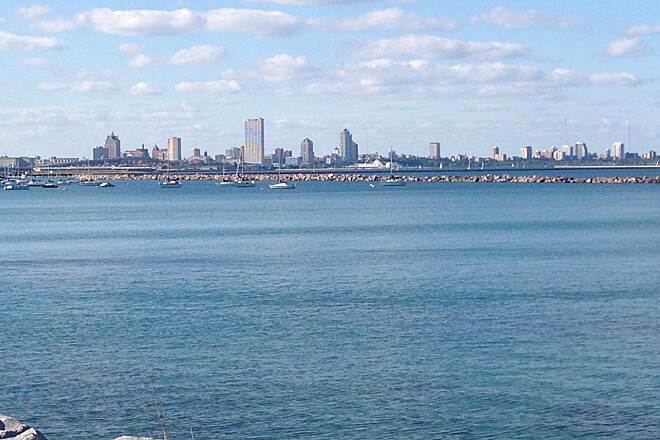 Some great views of Lake Michigan and Milwaukee heading back north. Only a couple of short climbs and a lot of shade on the southern half. We had a blast on his trail! I'm not really sure what part of the trail is the West Allis Connector and which part is the Oakleaf Trail. Very good winter driving conditions. Roads are clear. Some winter damage to roads along Root River Parkway so it was rough in spots and sometimes you had to drive around potholes. However that is to be expected as these are secondary roads which get repaired after the main roads. It was a beautiful sunny, abnormally warm 60F day when we started out. There were a lot of people out enjoying the weather and walking their dogs. We cut our ride short when the clouds covered the sun and the temperature dropped. We headed east on Layton Avenue then took 84th Street south. 84th street was a nice road to ride even though it is not a posted bike trail. There was a place for us to ride out of traffic and the traffic was fairly light. I think it's one of the better roads to head north towards Greenfield Ave. A lot better than 92nd and 76th street. 92nd street doesn't have any place for us to be out of traffic because it is like a 2 lane country road. However traffic is usually pretty light and polite. I feel 76th street is very dangerous to ride even though it is a posted bike route. The traffic is very rush hour expressway heavy, aggressive, cars ride in all 3 lanes, and I know someone who got hit on that road. My husband thinks whoever posted 76th street as a bike route is bound and determined to systematically exterminate all bicyclists one by one. p.s. We wear helmets, bright yellow construction worker jerseys with reflective strips. We also have a flashing white LED in front and the most powerful available red flashing flare along with a taillight in back and still experience our share of near misses. We also have a loud air horn to blow when cars don't see us and try to hit us. Right turners from behind are always a wild card when we cross intersections. Also watch out for people coming out of driveways. The onboard airhorn is handy to alert them of our presence. 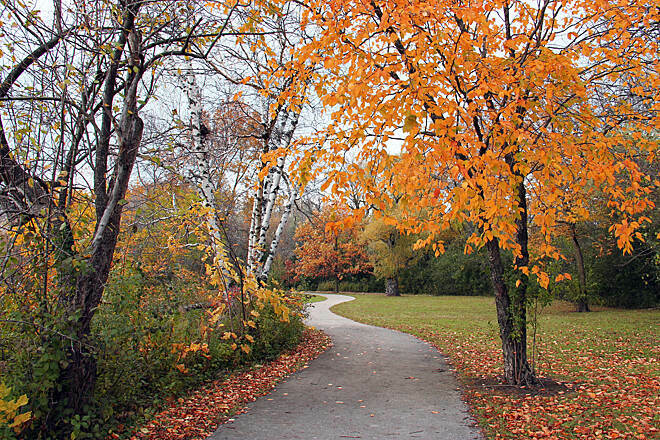 I have walked areas of the Oak Leaf Trail on the southwest side of Milwaukee County and always have a good time. Am a grandmother with a heart transplant and had a brainstorm to section hike the Oak Leaf with my loyal blue heeler, Spot. Have given up on ever getting to Appalachain Trail so this will be it! At least there are no bears or mountains. A cool misty 38F day with drizzles at the end. Probably the last day to ride before the snow comes and stays. Quite a few bikers getting out while they can and pretty many walkers with and without dogs. Disc Golf was very popular with a lot people playing and waiting to play in Whitnall Park. Overall trail is fine. Road just a little rough after Greenfield Park. No near misses with cars. That's always a plus. Just because you're wearing bright reflective gear with lights doesn't mean the cars will notice you. At this time of year, they don't expect to see bikers so they don't see you. I guess that's what making bike riding in the city exciting. We rode our bike in a big circle today just to get out and enjoy being outside. It started raining so decided to head back. went Left on trail that runs along Loomis road - don't know it's name. Then Left at Walgreens (Southway), Right through Greendale Village (Broad St.), Left at stopsign (Northway) and then 3/4 way up the hill made Right at church on no-through for cars street (Arrowhead). Up the hill to traffic light crossing grange to 68th st.
68th street can be busy but at least is wide enough for bikes and cars. Less suicidal then taking 76th with aggressive cars that ride in lane next to sidewalk. Then after Howard traffic light and before school Left onto Honey Creek Drive. Follow river and make Right on river bend road, cross river and becomes 72 st. Then cross Oklahoma Ave and back on 73rd st.
We rode our bike west on the Hank Aaron Trail which is a busy trail between 76th st & 92st. Hank Aaron trail is still under construction due to expressway project and has some detours. 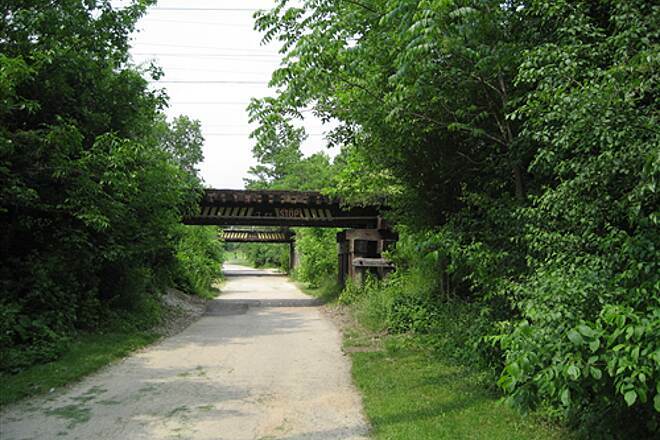 Then went south on 116th street to pick up the Oak Leaf Trail in Greenfield Park. We use this portion of the Oak Leaf Trail a lot because it follows the parkway when it's not a trail. That is less stressful than riding on regular city streets even though this trail winds around quite a bit and adds some miles to your trip. The parkway section from Cleveland ave to Morgan Ave is a little rough but the rest of the trail is paved and smooth. -National Ave at the traffics lights, turning cars may not notice you. -Whitnal Park intersections at the stopsigns and also intersections where cars have a stopsign and you don't. -76th street is a busy street with no traffic lights. -Loomis Road can be hard to cross the busy traffic as there is not a traffic light. Not really sure what the flashing caution crossing light is supposed to do. Cars do not slow down or become cautious as far as I can tell from the multiple times that we have crossed this street. The southern section is very scenic and curvy with small hills and views of the river now that the leaves are off the trees. You see quite a few people walking, biking, skating but we all work together. It seems less crowded than the New Berlin Trail. We weren't quite sure where the trail ended so rode past and through the Sports Complex. 60th street after the Complex doesn't have a bike pathway right away but does have a short bike path right before Ryan Road and 68th St.
We turned right to follow a bike path west a short way on Ryan Rd. The bike path ended after we crossed the river but there was a good shoulder on the 50 mph road. Then made another right (north) on 68th st. We then rode the bike lane up a killer hill past the Milwaukee County House of Corrections. At the next intersection, Puetz?, the bike lane ended and we were back on a regular, unfriendly to bikes, 2 lane country type road. So many places to ride. I would love to try and do the whole trail if I had the time. Right now I'm trying to do the scenic routes and someday finish up the street parts. There are so many great places along this trail for short rides up to ten miles or so without knowing you're in Milwaukee. 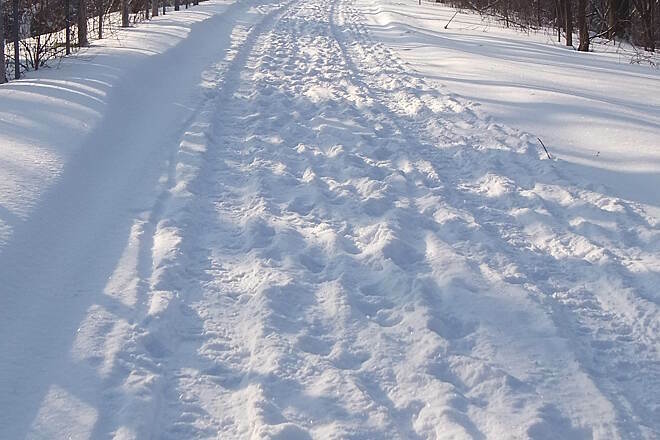 The dedicated parts of the trail earn 5 stars. They are in great condition, picturesque, with hills and turns to keep it interesting. The shared roads can be good, but many have the cracks across the pavement that generate that repetitive ca-chunk noise and feel that is really annoying. As a plus, the ride today in August took us past the traveling Biergarten near Whitnall Park. Fittingly, I had a Radler. We rode this trail north to south. The trail is a loop around the Milwaukee area and seems to have many access points. 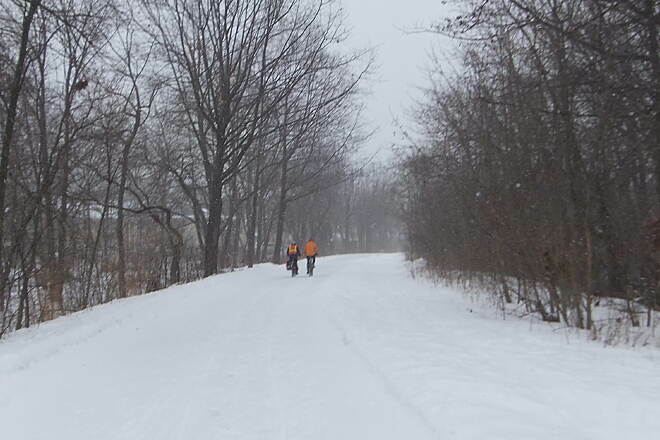 This was one of four of the trails we rode on a century ride from Fox Point Wi. to Madison Wi. 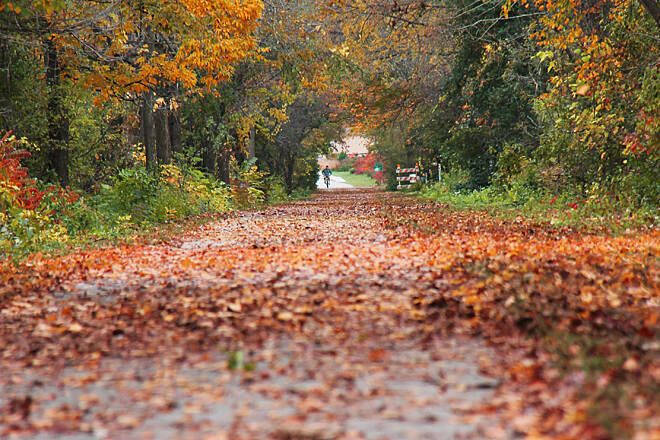 The Oak Leaf Trail has both Forrest and urban street travels. I have ridden the Oak Leaf in the past and thought I would go for a spring ride. Ended up to be a short ride. Good Luck! The trail on the Underwood Pkwy from Watertown Pk to Swan has always been rough and my least favorite, potholes etc. Now the Menomonee River Pkwy north tops all. Dodging potholes keeps your attention, but the crossing cracks are so bad twice they knocked me off my seat and jarring my shoulder. From Mayfair Rd through Curry Pk is closed and totally ripped out, hope it will be better soon. Turned around, that's all for the day. 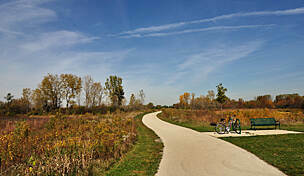 Starting from the Racine Milwaukee County Line and heading north, the trail is always clean and mowed. The pavement is in good to fair condition and I believe there is park staff tending to the issues they see regularly. I realize to repave a trail system the size of the Oak Leaf trail would be in the millions, so if speed is your thing, this is probably not your trail. 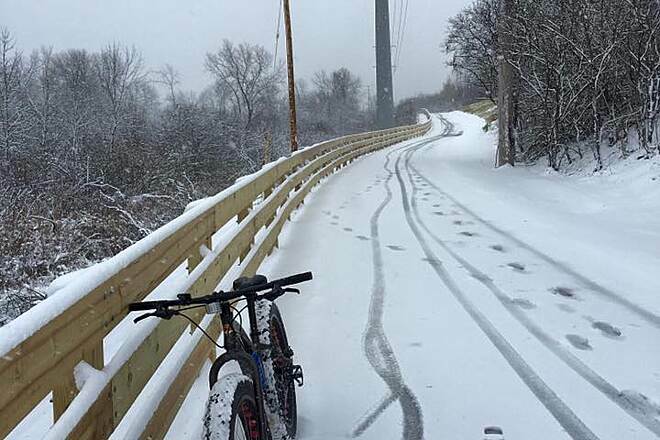 It is not just trail condition, but the amount the trail is used by non-bikers as well. It is not the pedestrian fault they don't know bikes are coming up behind them. As a walker, try as you might to be considerate, two abreast takes up at least 60% of the path. We walk and ride so we understand and let folks know we are behind them so they can move aside. Just be aware how fast a bike moves compared to how fast folks can respond to your notice. 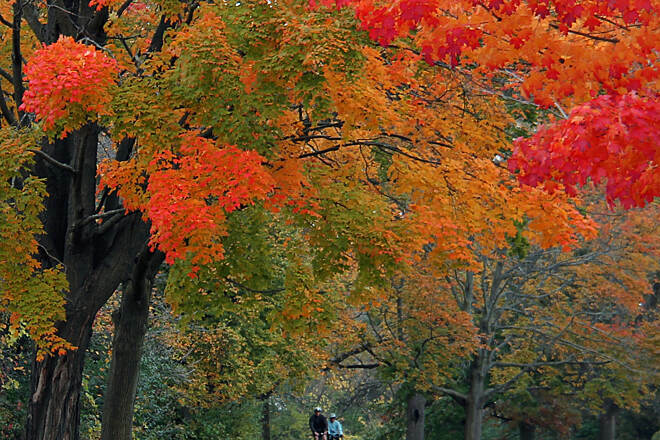 The section that should be closed to bikes entirely is the section thru the trees in Grant Park. It is awful. The road is not much better, but in 2013 they started working on that road and maybe they will be able to continue in 14 and 15 to improve the road for bikes/cars. One other street is especially poor just south of the Dairy Queen on STH 32. I don't know how the residents can stand to live on that section of road! But because it is not well traveled, a bike can watch out for the potholes. It is also true the trail is not marked well at all. I don't know why this has not been addressed. Go to a painted marker system if the signs get stollen or something. Some of the connections are impossible and only thru trial and error can you eventually find the path. It is nicely mowed and with a little effort in signage, it could be so much better. IT IS REALY HARD TO FIND THE TRAIL ONCE YOU HAVE TO LEAVE IT AND HIT THE CITY STREETS.THE POSTING FOR THE TRAIL ARE NOEXICENT SOMETIMES.TTHE LAKE ON THE TRAIL HASNT BEEN FIXED FOR YRS.THERE REALY HAS TO BE MORE MARKING FOR THE TRAIL FOR PPL TO LOVE IT.MAYBE IF IT WAS MORE LIKE OTHER TRAILS IN WIS. 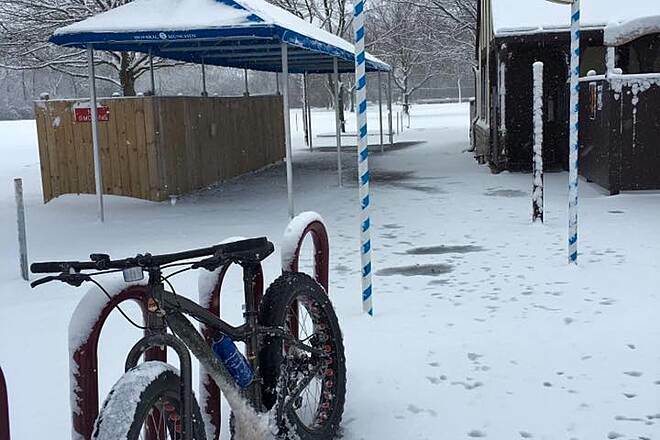 IT MIGHT BE FUN TO RIDE. CanNOT be considered a contiguous path. 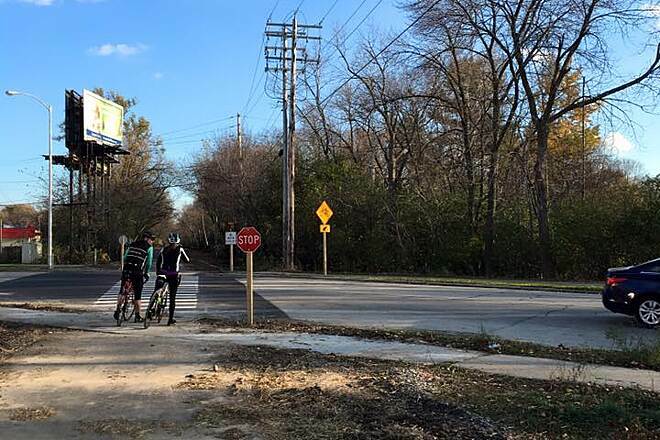 I've lived in the Milwaukee area all of my life and every time I try to ride the Oak Leaf "Trail" I get so frustrated I vow never to try again (it should really be called the breadcrumb trail with the amount of signage it has). There are parts that are a true trail and those parts are usually very nice. Those parts are its only saving grace. Otherwise you're constantly being spit off a nice trail onto unfriendly Milwaukee streets where you don't even get a bike lane. On a "recreational path?" Really? We don't even get a bike lane on a bike route? Yep. Milwaukee is not a cyclist's friend. And back to that signage... when you're unlucky enough to leave the trail good luck finding it again. Over the many many years the Oak Leaf had been in existence they have never improved the signs to help you figure out where it actually goes. 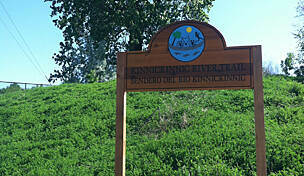 If it's that spectacular then promote it with signage. After getting hit by a car on my bike a year ago I was looking forward to getting off the busy streets and finding out if it had improved over the years. Sadly our city's focus is on automobiles not healthy alternate means of transportation and recreation. It's like they put it out there 30 years ago and thought it would maintain itself. Fail. The Oak Leaf Trial is a collection of paved off streek paths, on street bike lanes and on street with no bike lanes. Some of the paved path is so broken & pot holed as to make the street a superior alternative. Some of the streets have heavy industrial traffic. To suggest it is a 96 mile trail is misleading, it is more of a 96 mile route through the city. Parts of this trail are the epitome of scenic paved bike paths, parts are less so. A Milwaukee County bicyce map is essential as the signage is often lacking or non-existent. Even with the map it is easy for someone not familiar with the city to lose the trail. The sections along the water front are beautiful and protected, suitable for small children. The southern section in Cudahy is very rough. The blvd. 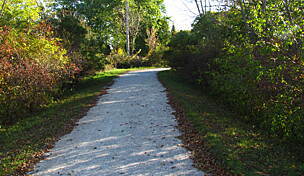 along the path is smooth and low traffic. One experience of note; I lost my wallet along the path and it was turned into the police dept. downtown intact. It would appear the people of Milwaukee are not only friendly but honest too. Picking up a Milwaukee by Bike map at a local bike store was most helpful in riding parts of the Oak Leaf trail. 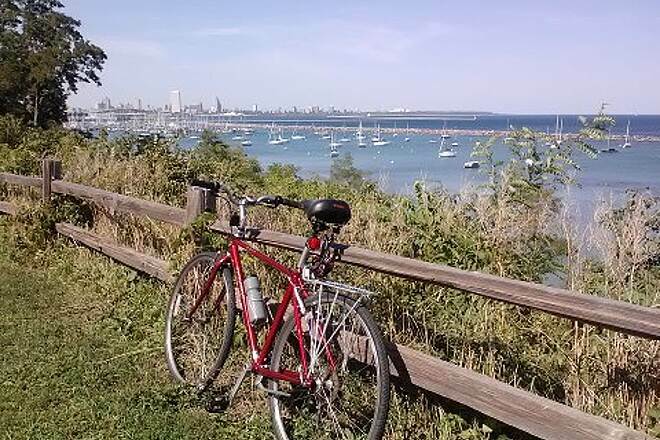 We chose to do the section along Lake Michigan which is a gorgeous, leisurely ride. We parked our car for free and for unlimited hours in Veterans Park. Do realize it can be quite windy and cooler along this section with walkers and inline skaters joining in. A must stop is at Alterrra Coffee restuarant which is just north near McKinley Beach. The pastries and sandwiches were delicious with seating both inside and outside. Next we ventured away from the water (there is a ramp to cross the street) and headed up toward Lincoln Park. Surprisingly, it was very quiet and heavily wooded with few if any interruptions. We ended up riding about 24 miles. 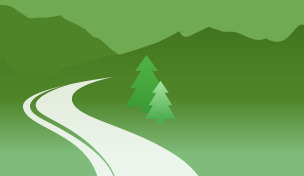 Although the Oak Leaf Trail consists of many miles, the map demonstrates that it is not one continuous path. 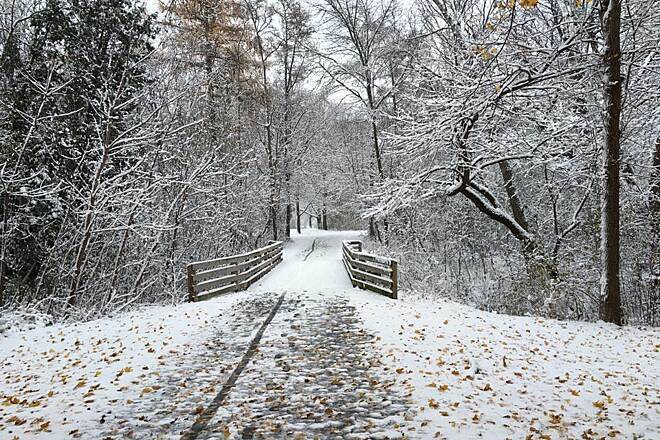 I would enjoy checking out more of this trail the next time I am in the Milwaukee area. My husband, 11 year old daughter, and I explored a new section of the Oak Leaf Trail today. We parked on Drexel Ave between Pennsylvania and Howell near the skate park. From these we headed West on Drexel until we came to the Oak Leaf Trail (where we headed South). Beautiful! The path is very well groomed with large bike crossing signs where it crosses the occasional street. There is a wooden bridge going over a small stream and a really cool covered bridge just south of Ryan. Absolutely beautiful and not too crowded with other bikers or pedestrians. A few small hills and subtle twists and turns make this ride really special. We'll definitely be taking this route again!! I'm just a casual rider and don't mind stopping occasionally to enjoy the trail and the attractions near by. I live about a minute and a half from the Oak Leaf Trail and often use it. 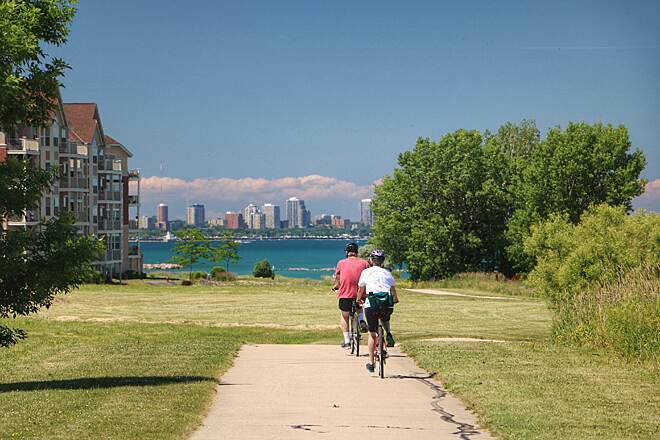 I like to start by riding through Lake Park, a beautiful park designed by Fredric Law Olmsted, the same man that designed Central Park in NYC. 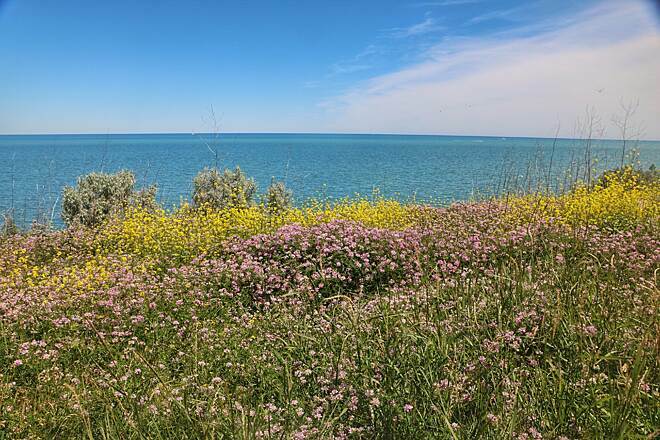 It has bluffs overlooking the lake, tennis courts, lawn bowling courts, a par 3 golf course, kid's play areas and a lighthouse as well as great scenery. Crossing the northern end of Lincoln Memorial Drive to the side that runs along the lake shore, you don't have to cross a street until you get to the art center. There are a few parking lot entrances and exits but not bad at all. Along the way, you ride past Bradford Beach and the many volleyball nets set up. 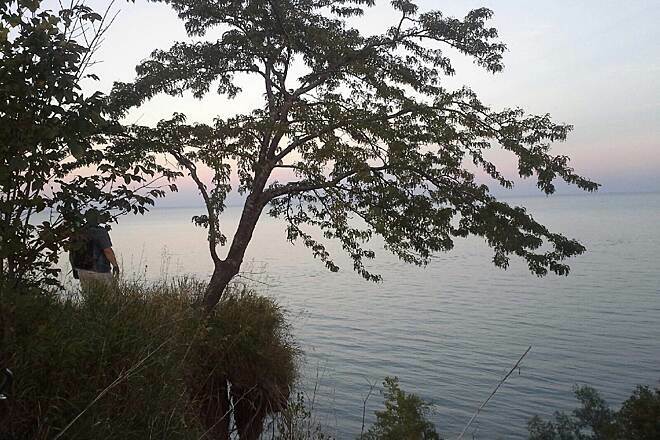 The beach also has a "Tiki Bar" where you can purchase a beverage and sit down to a fantastic view of a great lake. Food is also served at the boathouse. A little farther down the trail is a walk-up restaurant that serves great hamburgers and other sandwiches. The view can't be beat. Rolling south, you ride right along the side of the lake and past McKinley Beach til you get to the breakwater and boat launch. It's worth a few minutes to go out on the breakwater. And it has another place to grab something to eat if you so wish. Just past the Milwaukee Yacht Club is Alterra Coffee. More food and coffee (obviously) as well as a terrific place to people watch. If you take the cinder path on the south side of the small inlet where people are often fishing, you can go past lots of big and small boats in the marina. That will take you to a place where you can buy and fly kites if you like. Again riding right next to the lake, you will go past the Milwaukee Art Center. If you get there at the right time, you can see the "wings" going up or down to classical music. 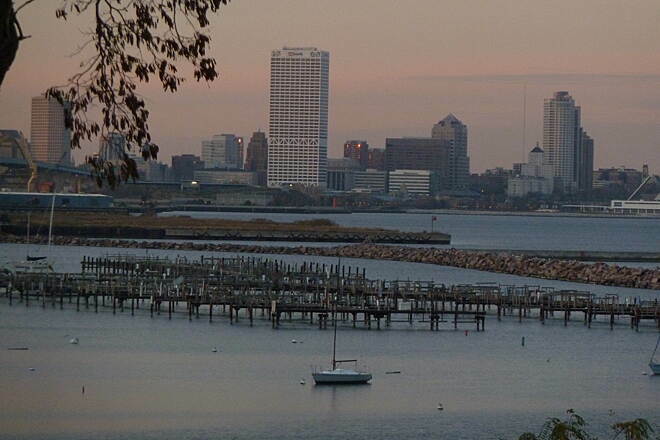 Then there's Discovery World at Pier Wisconsin, Lake Shore State Park and of course, the Summerfest grounds. All of this right along the lake. Gorgeous. 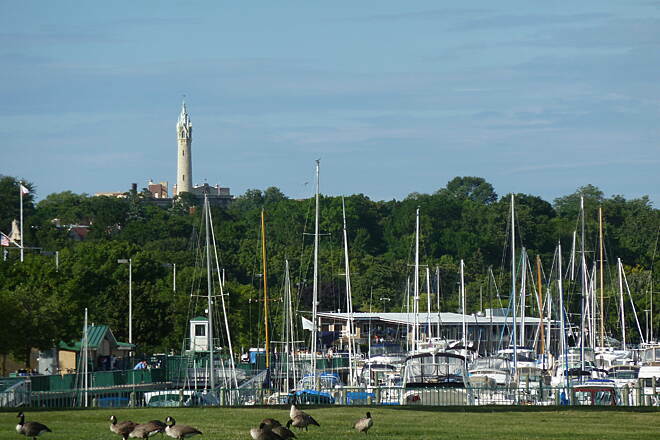 And there are lots of events during the summer along the lake and at the Summerfest grounds. 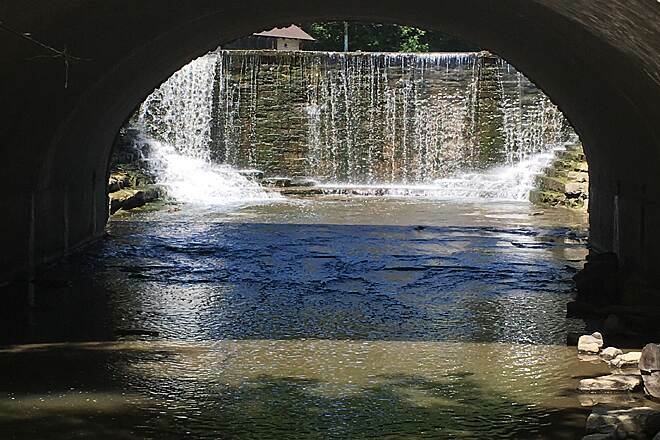 The trail is within easy biking distance of other city events like Bastille Days and the Brady Street Festival. Never a parking problem with a bike! If you're racing, this isn't the way to go. However, if you're just enjoying a bike ride and don't mind occasionally getting off your bike and walking (because of the many people, especially on weekends), then this section can't be beat. 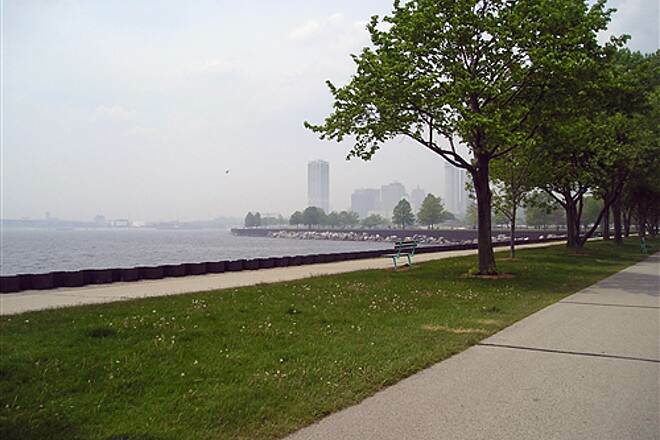 Going from Lake Park to Lake Shore State Park and back is approximately 8-9 miles of pleasure. Early mornings are the best. Bring your camera. Smile and say hi to everyone and have fun! well, it's finally happened. thanks to all the trail "boosters", the "freds" and other assorted morons have discovered the trail so that now, the trail is unrideable. my partner gave up on it some time back due to numerous close calls with bodily injury because of inattentive and thoughtless users of the trail. i continued using it as a way to add additional distance to my ride home from work-until yesterday. i've put up with all the dog owners who walk their dogs off leash, the walkers who walk on the wrong side, the people who stop on trail rather getting off the trail, and all the other oblivious users but yesterday just killed it for me. a group of half a dozen geezer freds chatting each other up and riding all over the trail caused me to wreck and sustain some minor injury. i was infuriated by their thoughtless inattention and refusal to admit their fault. 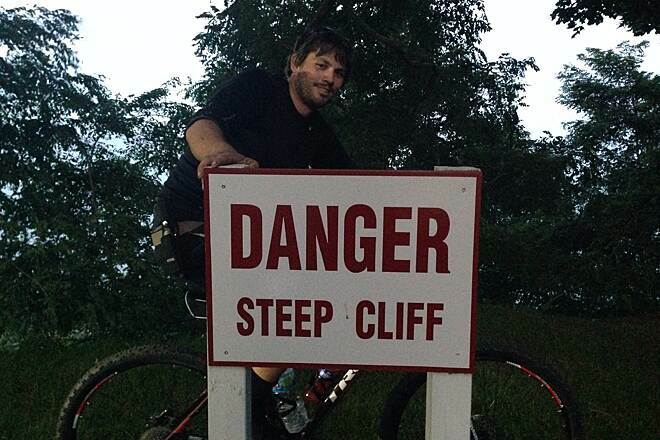 if you're at all serious about cycling, i would not recommend the oak leaf trail. you'd be safer sticking to streets. This past weekend I rode from Chicago to Milwaukee and part of the trip included the Oak Leaf Trail. I started at the southern end of Grant Park and rode all the way downtown to where I was staying. I have to say, it was probably the best part of my trip. At the south end of the park, there is a beach and harbor with great views. The park itself is mostly wooded with plenty of wildlife. It is windy with just enough hills to keep things interesting. 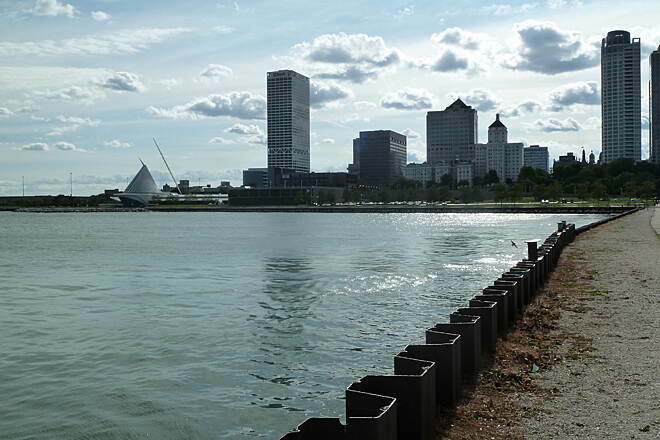 As I went further north, the trail ends up meandering along the lake with spectacular views of the water and eventually the Milwaukee skyline. I was very happy to have my camera along! On the negative side, some of the path through the trees is not well kept. There were times where I couldn't tell if I was still on the paved path or if I had meandered onto a side dirt trail. It wasn't unusable and the trail was interesting enough that I almost immediately forgot about the trail conditions, but there was certainly room for improvement there. I used to ride this one, back in the 1980's and early 90's. 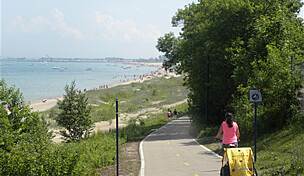 It was a lovely trail: I'd pick it up in Estabrook Park, in WFBay and ride to downtown Milwaukee, like, everyday in the summers! 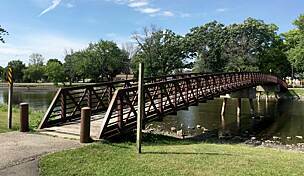 The start of my ride led me through beautiful forested parks, past and over the Milwaukee River. I loved the shade of the cool, green trees and the safety of the trail because it was the only way to get around that was away from all the traffic and cars that just seemed like they were out to get me because I wasn't one of them, driving a deathtrap/car! No, I was gonna be healthier than every other Milwaukeean and was going to help out the trees by breathing clean, carbon-DI-oxide, instead of the carbon-MON-oxide, being pumped out by the ton, by each and every car! And the Earth would thank me and smile upon me and say, "I love you, too, BB." And to this day, when I go out for an extended bike ride or hike through any wilderness-area, in this great world of ours, I can hear the Earth say, "Thanks, BB. Please, keep going and I'll let you stay here..."
I really don't want to drive a car, anymore. I can't think of a single one! The Underwood Parkway segment is terribly rough. I always dread coming to that part of the trail especially on my SWB recumbent. 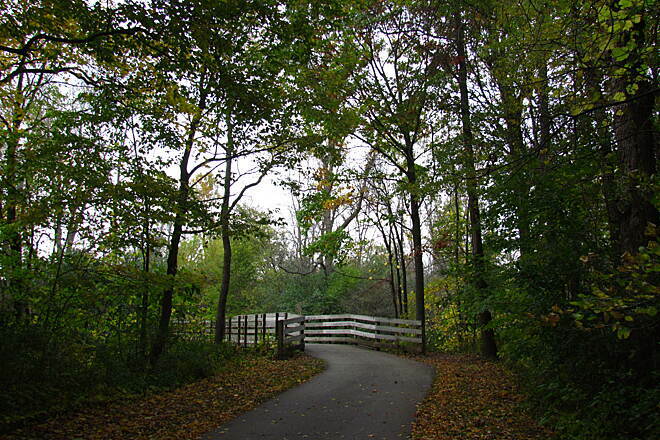 "We rode a portion of the Oak Leaf Trail system, on the north side,near Brown Deer Road, south through several parks. The trail is mostly in poor repair, and very poorly marked, especially where it changes from off road to on-road routes." We used the Oak Leaf to get from the New Berlin Trail to Hales Corners. This part was very lightly trafficked and a pleasant ride through parks and undeveloped parkland.